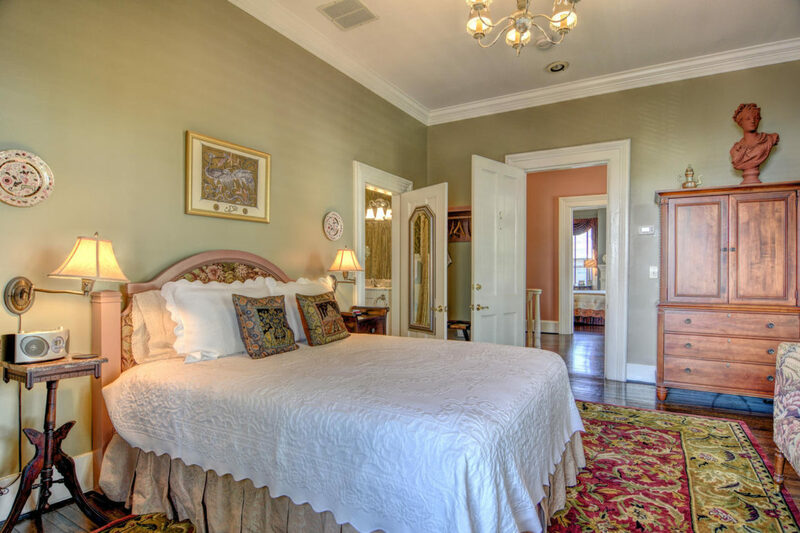 Guest Room One was in the movie “A Touch of Fate,” featuring Teri Hatcher. This very popular room has soft green walls and three large windows with wooden blinds and swags and jabots, which are in a peach and green colored fabric. The tapestry fabric on the small settee matches the fabric of the headboard. A very comfortable lounge chair in the corner is perfect for reading or dozing off. 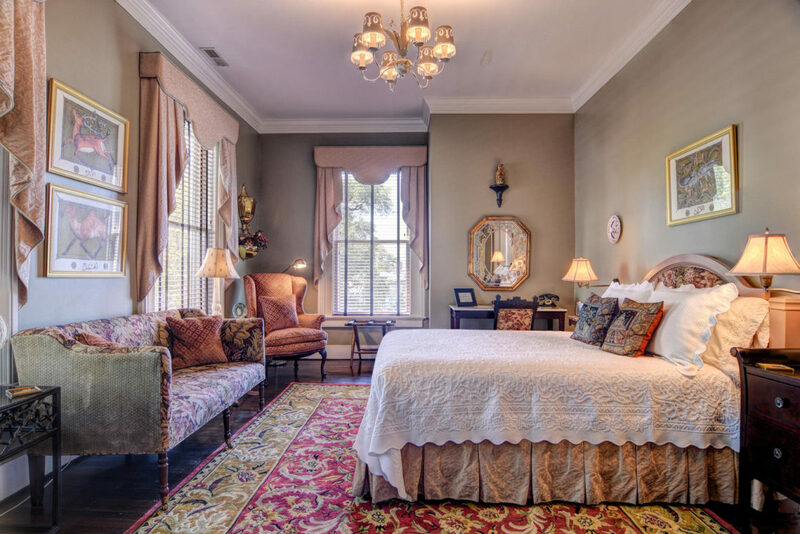 Three pieces of art in Guest Room One are copies of antique Persian prints obtained in El Escorial. The carved Chinese Oriental rug completes the room partially covering the dark wooden floors. 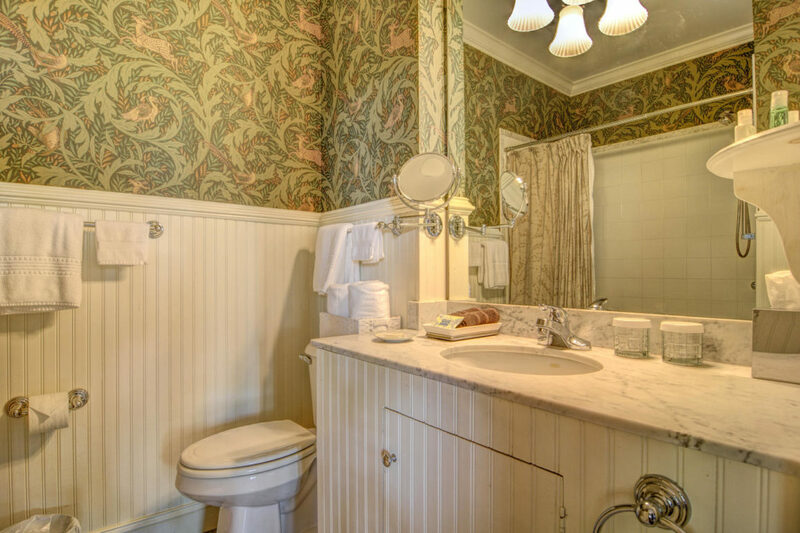 While the bathroom is small, it has a marble floor, marble vanity, garden-size soaking tub and beautiful wallpaper above the custom wainscoting. The room overlooks the back of the house and is about five steps away from the door to the back veranda.